Several interesting label variations exist for Atari's 8-Bit computer line. Brown Label Actually more of glossy black color, but often fades to a light brown or tan after a few years. This was Atari's first label style for the 8-Bit computer line in 1979. The game name is in dull yellow/gold and underneath is a large white text line that states what kind of cart it is (Computer Game, Programming/Computing Language, Word Processor, etc.). At the bottom of the cart it states what kind of controls it uses and then displays the Atari Computers logo and the serial number in a large font. 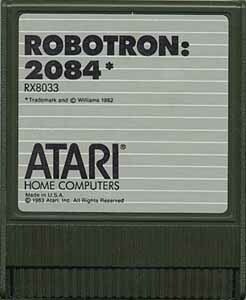 Originally the serial numbers started with the prefix CXL, but this was changed to RX right around the time Atari switched to the Gray Label style. The Brown and Gray Label styles both come housed in a sturdy metal case with the words "<< Left Cartridge" printed on the end label. Gray Label This is the second label style Atari used. This label isn't really gray, but a grayish silver with thin white stripes. The game title is bow in black and the serial number uses the RX prefix. 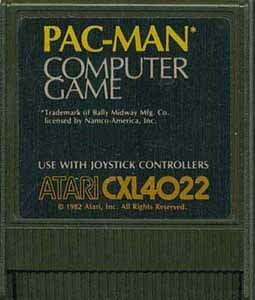 The serial number on these carts is very tiny and has been moved to right under the game title, the controller type line has been removed, and the Atari Computers logo at the bottom has been enlarged and is also now in black. These labels don't seem to have the fading problem that the brown labels do. Atari used this style until the launch of the XEGS in 1987. 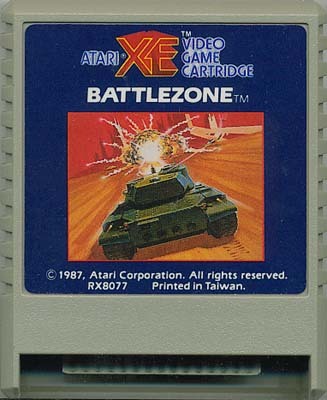 XE Label With the launch of the Atari XEGS, Atari switched to this new label style. The label is now blue (usually dark blue, but the shade varies), with a small picture in the middle. 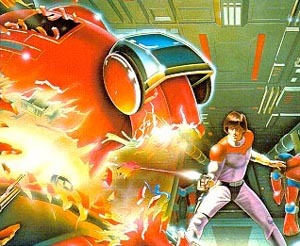 The game title is either displayed in the picture in the games original arcade font, or in small white letters above the picture. 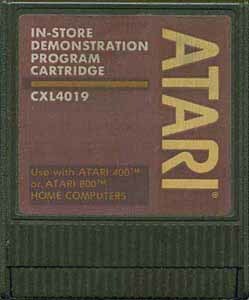 The Atari XE logo is now displayed at the top of the cart in a weird 3D font. 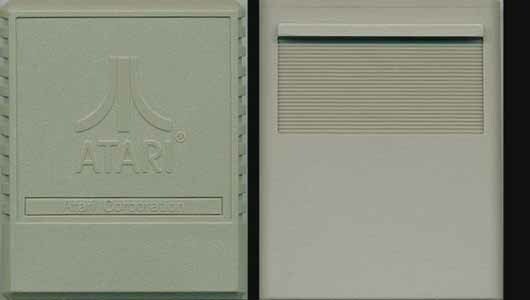 Atari also introduced a new cartridge case that was made of light gray plastic that matched the XE computer line. The case back varies a bit, some games have an Atari logo in raised plastic, while others have a small shelf and a vent pattern on the back. I assume the shelf was put on the carts to make them easier to pull out of the system. XE Case/Gray Label Later in the XE's life Atari decided to re-release some older games with the Gray Label style, but in a XE style case. 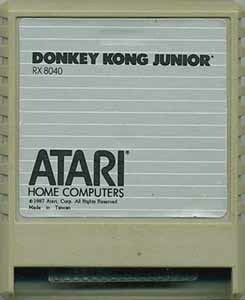 A few of these re-releases were also made with a XE style label (Easter Front, Donkey Kong). Games that used a CXL serial number that were re-released in this style were switched to a RX number. Silver Label This odd label was put out sometime in 1985, it looks very similar to the Gray Label but is shiny silver instead. The Fuji symbol was added next to the Atari Computers logo, and the words "Personal Computers" was added underneath. So far the only cartridge I've seen with this label style is the Rev. 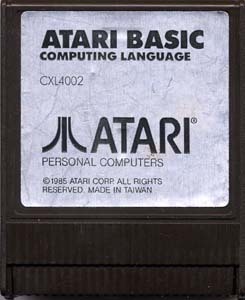 C release of Atari Basic. Demonstration Cartridge The Atari 400/800 demonstration cartridge was released with a unique brown label. Atari is written down the right hand side of the cart in a large font and the title is written in small letters in the upper left with a small stripe separating it from the serial number. This cartridge was also released in the Silver Label style. 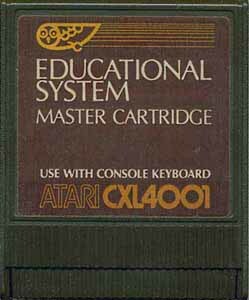 Educational System Cart This label was only used on the Educational System Master Cartridge. It looks like the standard Brown Label, but has the Educational System logo at the top of the cart. 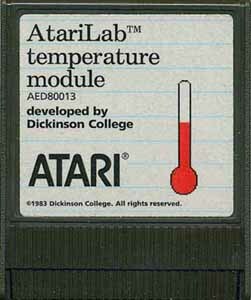 This cartridge was used in junction with a series of educational tapes that Atari released. AtariLab Carts Atari put out two cartridges in their AtariLab educational series. These cartridges were used in conjunction with a bunch of lab test equipment that came with the cart. These labels look very similar to the Gray Label style, but have a thermometer or sun symbol next to the title depending on which lab it went with (Light Lab or Temperature Lab). Also Dickinson College is credited on the label.